I was so fed up with my old Schick Quattro razor. It’s ugly, complicated; the head broke off every time it fell in the shower and the blades got dull fast. It seemed like I was paying a lot for a crappy product. I realized there are only 3 options at the drug store: Schick, Gillette, and Bic– all equally gimmicky, ugly; each desperately trying to vie for your attention with loud colors, swirly patterns, and moisturizing strips. 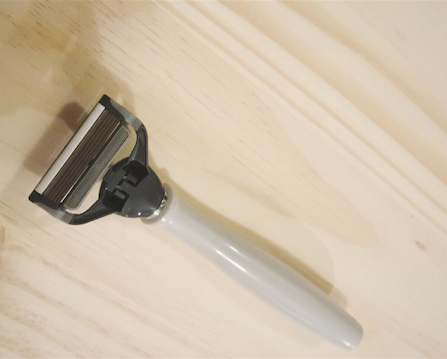 But all I want from a razor is a simple pleasing design, good working parts, no frills, at a reasonable price, so I’m glad I found the Truman at Harry’s. It’s the most beautiful affordable razor I’ve found; at only $10, with each replacement head under $2 a piece, with free shipping. 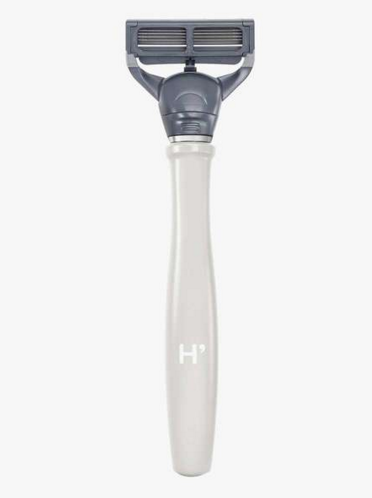 I’ve used it once so far and am really impressed at the close shave, flexible head, and its secure attachment mechanism at the very neck of the razor. Although it is marketed towards men, I feel it is actually gender neutral and offers a great shave, safe for female parts. This will definitely become a staple in my beauty routine. I thought a lot about Harry’s until a friend recommended a company called Dorco. Great prices and no commitment and high quality razors. those are great prices! i do prefer the simplicity of Harry’s though. there’s no commitment with harry’s too unless you want opt for it. thanks for the rec!